Following the success of the first of our monthly FIFA Masters Series (FMS) Online Tournaments, we bring you the 2nd FMS Online Tournament on Wednesday 26th June. Get signed up today to ensure you get a spot and earn your FMS Points! FIFA Masters Series (FMS) has both an offline and online element to it encouraging FIFA players to attend LAN events around the UK and also to compete online for FMS Points. FMS points given for online events arer doubled at LAN events to encourage attendance. The Online Tournaments will run each month in the build up to the Grand Final at the end of August at insomnia49. 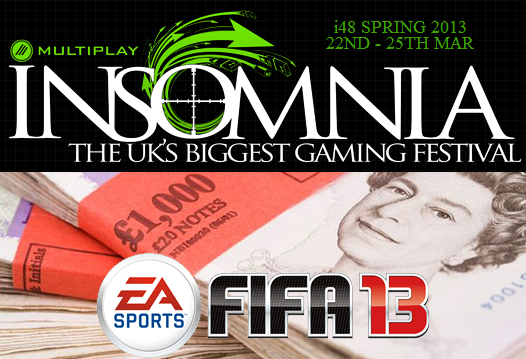 At the end of the insomnia49 FIFA 13 tournament, points earned from insomnia48, EGL9, insomnia49 and the Online Tournaments will provide us our Top 8 players in the FMS League. These 8 will play off at insomnia49 in the FMS Grand Final for the title of FMS Champion 2013! This month’s tournament will present the FMS Points (described below) to Top 32 players plus the Winner will earn themselves a TUP ticket to insomnia49 courtesy of Multiplay (worth £55) and others to be announced asap. The tournament will be streamed live on Wednesday and a celebrity Show Team will bring you the tournament in a unique way. You will also be able to watch matches where players have the capability to stream live. The points system has been developed to ensure fairness and encourage attendance at offline events. 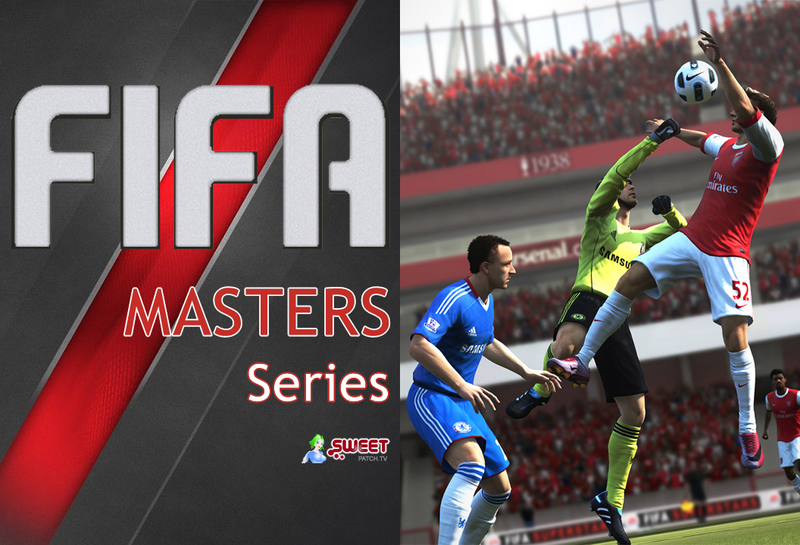 Check out the latest FIFA Masters Series League Table. Please get involved and help build the FIFA Masters Series to be a massive success for the benefit of the competitive FIFA community.